Description Elemental terrain and magical traps galore! Your tabletop never looked better! With Dungeons & Dragons Miniatures and this pack of customizable terrain tiles, you can add a new dimension to your D&D adventures. Easy to set up and infinitely expandable, this pack allows you to create the D&D adventures you want to play. Pick up additional packs to create larger, more elaborate encounters! 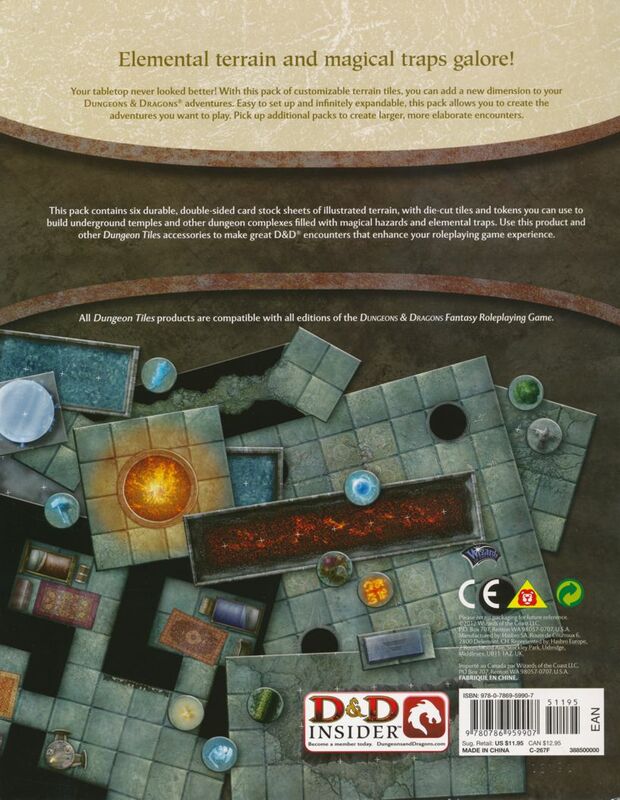 This pack contains six durable, double-sided card stock sheets of illustrated terrain, with die-cut tiles and tokens you can use to build underground temples and other dungeon complexes filled with magical hazards and elemental traps. 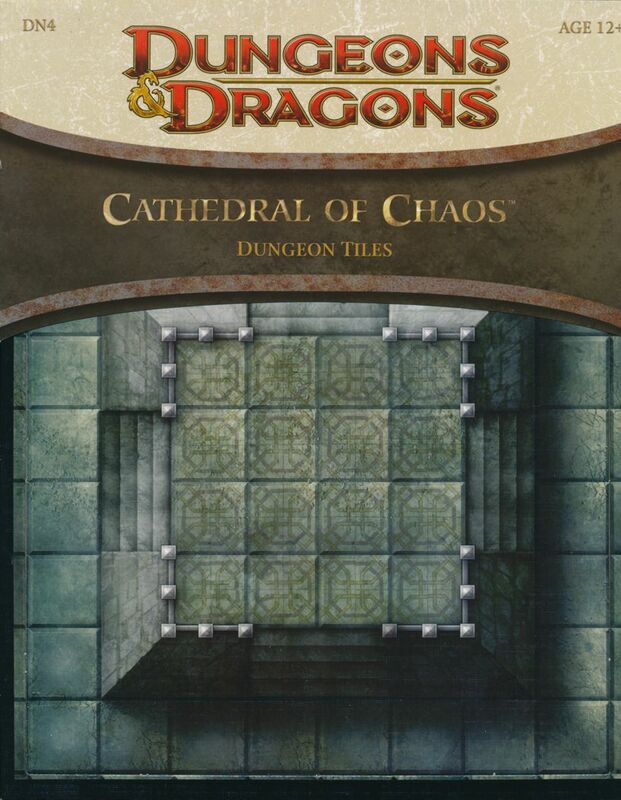 Use this product and other Dungeon Tiles accessories to make great D&D encounters that enhance your roleplaying game experience.